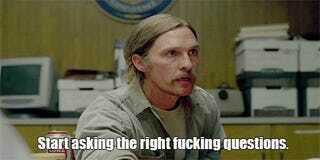 Maybe that's just my opinion since I haven't slept and have just been reading True Detective articles all night. Or maybe it's a fact. I think it's a fact. All I know is that this article has me giggling. Spoilers through episode 5.